Looking back over the past 25 years, Stanley Renshon explores how the issue of character has come to dominate presidential campaigns. 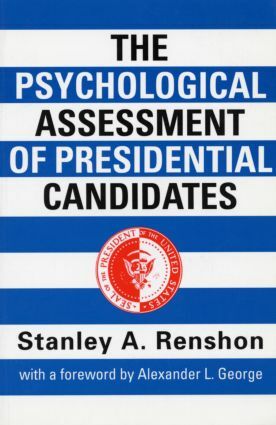 Drawing on his clinical and political science training, Renshon has devised a theory which allows the public to evaluate the qualities of presidential candidates. Stanley A. Renshon is Professor of Political Science at the City University of New York and developer and coordinator of the Interdisciplinary Program in the Psychology of Political Behavior at the CUNY Graduate School. He is a certified psychoanalyst and author of several volumes, including High Hopes: The Clinton Presidency and the Politics of Ambition (Routledge, 1998).